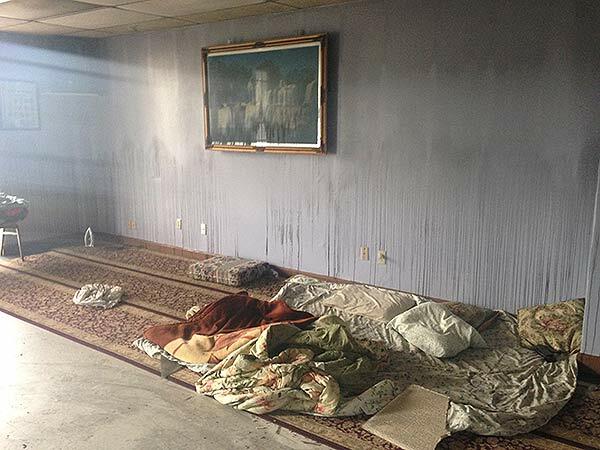 HOUSTON (KTRK) -- Members of a Sikh temple are surveying the damage after a fire destroyed the temple Wednesday night. The fire started around 9pm Wednesday at the Guru Ravidass Temple Houston on Boone Road. The priest, Bhai Kuldeeb Singh, was sleeping inside the temple when he awoke to smoke and flames filling the rooms. He grabbed the Holy Book and escaped without injury. Other members are seeing the destruction for the first time. "It's devastating," Ranvir Singh Sheemar said. "It's really hard to see this because everybody's been coming here for so long." The temple opened in 2002 and hosts about 150 people on Sundays for a prayer service. Members say the building is uninsured and will have to raise enough money to rebuild. "I have no clue what we're going to do right now, but hopefully we can stick around and we can all work together to get this place cleaned up," Sheemar said. "Get it back up and running." Arson investigators were on site Wednesday night. A spokesman for the Houston Fire Department said they do not know what started the fire yet. Members are counting on their faith for strength. "We will be praying, day and night," Sheemar said, "day and night."